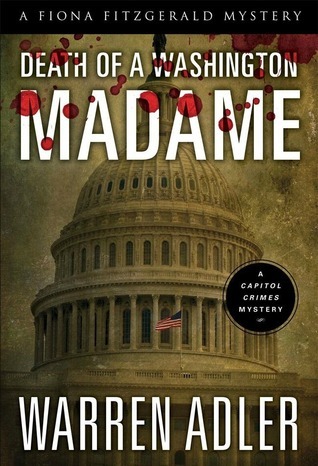 Washington D.C’s struggling underclass and the U.S. Capitol’s socially prominent and politically aggressive upper strata collide in a horrifying crime. Homicide Detective Fiona Fitzgerald once again battles prejudice and privilege to uncover the truth, confronting her own demons while sparring with the violet-eyed movie star wife of a powerful politician determined to erase the sinful secrets of the past. Now this is more like it! This is the third book in the Fiona Fitzgerald mysteries series and it’s like the author had heard everything I hadn’t enjoyed about the first two books and tailor made this book just for me. My issue with the first two books in the series was that Fiona herself was a needy domestic disaster who spent her days sighing over men rather than doing her job, which she professed to be the most important thing in her life… this time, she knuckles down to solve a murder with her new partner and leaves moping more or less to her own time. This book is a lot more subtle than the others, dealing with issues such as sexism, racism and class…ism (is that a word?) on a more gentle level rather than being smacked in the face with the solid mahogany bat of bigotry. The issues are important and are the underlying thread for the entire series, but I found that they got in the way of the actual story in previous books. Fiona and Gail, her new partner, are showing a united front to prove that female police officers have an edge when it comes to solving violent crimes with female victims. The one issue that does cause a bone of contention between the two of them is race – it’s hard to remain neutral when a case hits so close to home, a rich white victim and all the prime suspects are black. The story had twists and turns aplenty and I’m delighted to say that I hadn’t figured out the ending until it was already happening which makes it a rare joy! What keeps me coming back for more of this series is the evolution of the characters and the political intrigue. Each books seems to be another step in the right direction for me, so bring on the next in the series, I say!